The late '60s and early '70s was a heady time for music. It seemed like the sky was the limit in terms of creativity and artistic freedom. In those fruitful early years a style of music was born, what is now known as classic progressive rock. I need not get into a definition of 'what prog is', especially on this site but let's just say the creative spark was burning incredibly bright. The year was 1967 and a little album called Sgt. Pepper's Lonely Hearts Club Band was released to much critical acclaim. Many believe that that was the true beginning of progressive rock. The Beatles experimented with different styles and sounds and Sgt. Pepper's was a groundbreaking achievement. 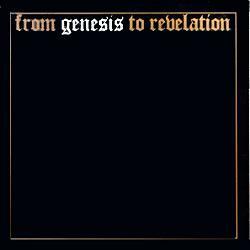 Not everyone you talk to considers that album progressive but I believe it helped pave the way for the progressive rock movement to firmly take hold. This essay will concentrate on four classic progressive rock bands; King Crimson, Yes, Genesis and Pink Floyd (yes, they are prog!). Part two will feature Van der Graaf Generator, ELP, Jethro Tull, The Moody Blues and Gentle Giant. Included is a section for each band including a listing of those albums which I deem essential listening for anyone wanting to delve into classic prog. So let's get right down to it. 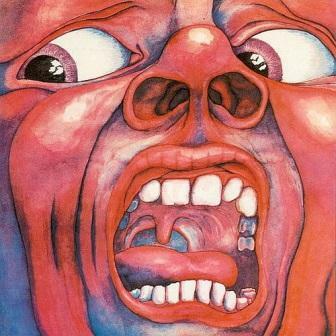 On October 10, 1969, perhaps the most important progressive rock record ever to grace the airwaves was released in the form of In the Court of the Crimson King. The album was debuted live at a free concert in Hyde Park, London. King Crimson, along with The Rolling Stones played to 650,000 people which no doubt helped spread the word about this fabulously talented band. 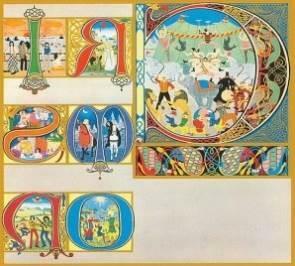 The album went on to reach number 5 in England, quite astounding since we are talking about progressive rock. However, back then progressive rock wasn't a dirty word(s) and the time was ripe for something different and Court did indeed fit that bill. The lineup included Robert Fripp (guitar), Greg Lake (bass, lead vocals), Ian McDonald (reeds, woodwinds, vibes, keyboards, Mellotron, vocals), Michael Giles (drums, percussion, vocals) and Peter Sinfield (words and illumination). 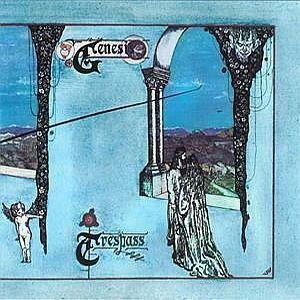 This is one of the finest debut albums released by any band, inside or outside the progressive rock genre. Finely crafted, slightly eclectic and most importantly filled with great music whether it's the metallic intensity of "21st Century Schizoid Man" , the jazzy "I Talk To The Wind" or the epic title track which showcases fantastic flute and brilliant organ playing. And of course the sounds of Mellotron fill the air! A year later In The Wake Of Poseidon was released and the band did not disappoint. This also happened to be a year of some changes in the band. Gone was Ian McDonald, replaced by Mel Collins (saxes, flute).The band also added jazz pianist Keith Tippet and bassist Peter Giles. This would also be Greg Lakes' last album with the band as he went on to join Emerson Lake & Palmer. Some say it follows in the same footsteps as Court and that may be true to some extent but that does not make this a bad album. In fact, it's excellent. My favourite track is "Pictures Of A City" showcasing Fripp's otherworldly guitar excursions. The beautiful ballad "Cadence And Cascade" is also a highlight. Overall, the tone on Poseidon may be a bit darker than its predecessor. Suffice to say, a fine sophomore effort. If some thought Poseidon and Court were similar, the same cannot be said for the band's third release Lizard. It is more complex, jazzy and dare I say more 'progressive' than anything that preceded it. It's a nice blending of melody ("Lady Of The Dancing Water") and elaborate pieces ("Lizard"), a multipart epic that is progressive with a capital P. Even Jon Anderson lends his angelic vocals, albeit for a brief time, kind of like icing on the proverbial cake. The track may seem slightly disjointed at first but after a few spins it all seems to make perfect sense, at least to me. The lineup changes continued with the addition of Gordon Haskell (bass, vocals), replacing Lake, and Andy McCulloch (drums). It had been an incredibly productive three years and even more remarkable is the fact there seemed to be a revolving door of musicians; kind of like Yes in that respect. The band continued to put out quality material and Islands, released in 1971, was no exception. The title track is quite possibly the most beautiful song the band ever recorded. The only misstep is at song's end where a moment of silence is followed by talking and the occasional bit of music. 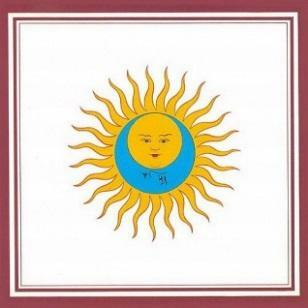 The band continued to put out excellent material including their fifth album Larks' Tongues in Aspic released in 1973. The title track is worth the price of admission alone. The switch to heavier and lighter motifs is spellbinding and the band really delved into their adventurous and experimental side. Again the lineup had changed this time featuring David Cross (violin, viola, Mellotron), Jamie Muir (percussion), John Wetton (bass, vocals), Bill Buford (drums), who had migrated from Yes, and the aforementioned Fripp. The same lineup (minus Jamie Muir) appeared on the next album Starless And Bible Black released in 1974. Maybe a touch more abstract and experimental than anything previously released and the band's use of improvisation makes this one quite interesting but may not be the best starting point for anyone new to the band. The album ending "Fracture" is an awesome track showcasing just how talented these musicians really were in their prime. 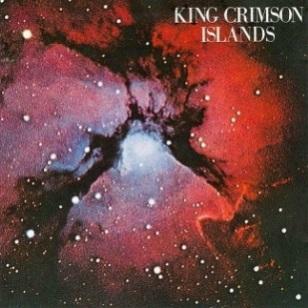 Fripp's explosive guitar is something to behold. 1974 was a very busy year indeed as the band also released Red before the year was done. The line-up was down to three: John Wetton (bass, vocals), Bill Buford (percussives) and Fripp (guitar, Mellotron). However, they had help from a few friends including past members. 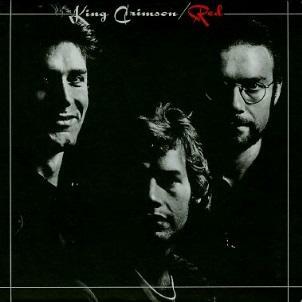 Red epitomized exactly what made King Crimson so different than many other bands at the time. They took all of their influences from avant-garde to classical and made one fantastic album. Like all of those early Crimson records, instrumental virtuosity was second to none and the band's experiments with improvisation is impressive. Is this the easiest Crimson record 'to get'? No, not even close but for anyone remotely interested prog's early years Red is another mandatory listen. After Red the band decided to call it quits but came back in 1981 with the release of Discipline. It was a different era and a different sound for the mighty Crimson but no less intriguing. The following list is what I feel to be mandatory listens for any progressive music fan wanting to expand their musical horizons. Many of the latter day albums are also very good but I kept this list limited to those prolific early years. In the late '60s another English band was waiting in the wings. Yes were quite possibly the biggest and most successful classic progressive rock band to ever hit the airwaves and their discography is as impressive as anyone's at the time. While Crimson delved into more experimental and dissonant sounds (with some great melodies as well), Yes took symphonic rock to new heights setting the bar that few other bands would be able to achieve. The band's first line-up was Jon Anderson (vocals), Chris Squire (bass), Tony Kaye (keyboards), Bill Buford (drums) and Pete Banks (guitar) and remained together for the first two albums; their self-titled debut (1969) and Time And A Word (1970). 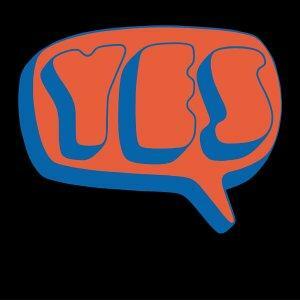 Yes's debut, while not a full-fledged classic (that would come soon enough), is still a fine listen and has some of the ingredients that Yes would become known for, especially Anderson's lovely vocal harmonies and Squire's signature bass. It is a product of its time and by and large quite charming, like the cover of The Beatle's "Every Little Thing", a nice trip down flowery lane, and "Survival", a wistful slice of '60s British pop with a psychedelic infused beginning and pleasant acoustic guitar. This was not a full-fledged progressive rock album but rather a late '60s rock album with progressive leanings. The following year Time And A Word hit the shelves and had the band still searching for a direction. It is a similar album with one main difference; the addition of an orchestra can be heard on many tracks. Even at this early stage in their career Yes was trying something different and the orchestra may have been used to establish a more progressive sound. Although many have disparaged its use, I have no problem with it as it adds a layer of lushness to the overall sound. Check out "No Opportunity Necessary, No Experience Needed" and the title track for prime examples. On subsequent albums there would be no such need for hired help as the band would do it all on their own and it didn't take long for Yes to find their true musical direction. In fact, it was just a year away. Plenty of great music on those first two albums but as a band Yes were still searching for a clear direction. 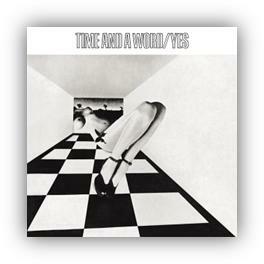 The third release, The Yes Album (1971), is where Yes found their true mark as all the necessary ingredients were there to make this their first essential album. There are no bad songs in the bunch; the word 'filler' does not apply. The songs became longer: "Yours Is No Disgrace", "Starship Trooper" and "Perpetual Change" and are much more ambitious. The interplay between all five musicians is stellar (enter Steve Howe and exit Pete Banks) and some of the vocal harmonies are to die for. Steve Howe also makes his presence felt in a big way and would continue to be the backbone of their signature sound. Check out his solo piece "The Clap" for some superb acoustic guitar. Without a doubt this is where Yes really showed their stuff and the rest as they say is history. 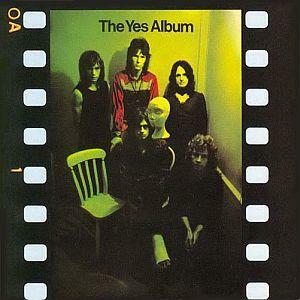 Although Yes would get even more ambitious, The Yes Album will always be one of my favourites, a perfect combination of catchiness and instrumental prowess. 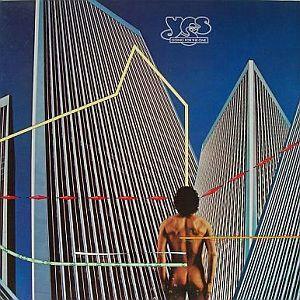 That same year Yes would release one of their most endearing albums. Fragile would welcome keyboard maestro Rick Wakeman and say goodbye to Tony Kaye who would return over a decade later for their '80s comeback album 90215. 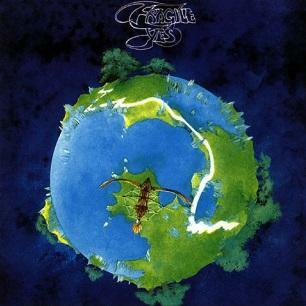 Many music fans consider Fragile Yes's biggest musical statement and I would be hard pressed to argue. "Roundabout" opens the album as close to perfection as any track possibly could. Squire is a monster here, laying down some of his most iconic bass lines and Anderson's soaring vocals are the icing on the cake. And it just might include Anderson's most famous lines; "In and around the lake/Mountains come out of the sky and they/Stand there." Even typing it almost gave me goose bumps! Simply put, this is a masterpiece. The next two songs; "Cans And Brahms" and "We Are Heaven" are shorter pieces with the latter showcasing Anderson's superb voice. The album ends with another of Yes's most beloved tracks "Heart Of The Sunrise", a breathtaking listen. Right from the start the band cooks up a storm offering a great chord progression. Squire also gets in on the act playing off of Bruford's frenzied attack. After a few minutes a pastoral calmness unravels it's veil as Jon's fragile voice gently takes hold. Back and forth, pummeling intensity mixed with heart wrenching beauty, the contrast between heavy and soft is mind blowing. This is also the first album to feature the famous artwork of Roger Dean. Bottom line - Fragile needs to be in every prog rock collection. 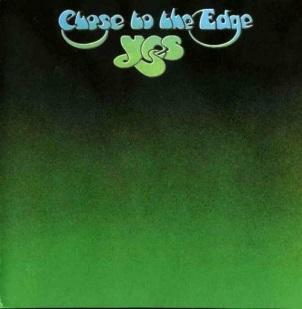 Continuing with their string of classic albums, Close To The Edge (1972) has the band continuing their exploration of the 'epic' track. Composed of only three songs, including the massive title track, Close To The Edge is a remarkable achievement. The songwriting and musicianship is second to none and the musicians are at the top of their game. The majestic title track opens the album and is an awesome display of musical virtuosity. I love Howe and Wakeman's contributions here but the beautiful thing about Yes is there are no weak links and if one person shines you can bet the rest do as well. The second track "And You And I" (love the Mellotron by the way) is classic Yes in all its pastoral beauty while the third and final tune "Siberian Khatru" features Yes' rockier side. This was to be Bruford's last album with the band (enter Alan White), until Union released in 1991. 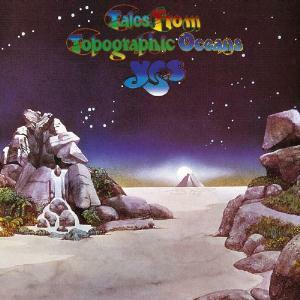 Tales From Topographic Oceans (1973) was next and is a massive double album with the concept developed by Anderson. All four tracks achieve epic status. These are long songs and some feel the band tripped on their own ambition but I beg to differ. Trust me, there is much to explore here. Another essential classic. The band's next effort Relayer (1974) saw the departure of Wakeman and the entrance of Patrick Moraz on keys resulting in another prog rock classic. While Tales was a sweeping majestic story, Relayer was more like a volcano ready to explode with unadulterated fury. The creativity here is off the charts. 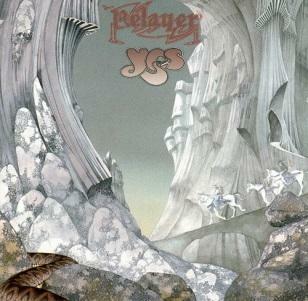 If you are new to Yes perhaps dig into some others first, then immerse yourself in all that Relayer has to offer. In 1977 Wakeman would rejoin the fold, replacing Patrick Moraz, to record what I consider to be their last essential record Going For The One, although all Yes albums have something valuable to offer. Going For The One strikes a fine balance between Yes's innate melodic accessibility and their consummate musicianship. There are some stellar moments, particularly the epic "Awaken", lovely acoustic ballads "Wondrous Stories" and "Turn Of The Century" and the classic harder edged prog of the title track. Yes were a monster in the classic prog genre and their rich and varied musical legacy will be secure for many years to come. 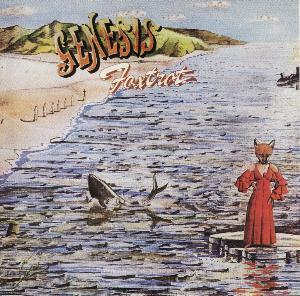 Another heavy hitter in the early years of progressive rock was Genesis led by their flamboyant vocalist Peter Gabriel. The band formed in the late '60s and released their first album From Genesis To Revelation in 1969. Produced by Jonathan King who is noted for his work in the pop rock world, the album was not a prog rock classic, more like folk influenced pop songs. Of course these musicians were very young at the time so all can be forgiven and it is still not a bad album by any means. In 1970 Trespass was released and it was here the band started to explore progressive rock with more complex song structures and imaginative arrangements. We also must keep in mind these first two albums did not have Phil Collins or Steve Hackett. They would join the band on its next release Nursery Cryme (1971) and the band's classic lineup was born. It is an incredibly dynamic record flowing from softer parts to more intense passages with ease. Songs like "The Musical Box", "Return Of The Giant Hogweed" and "The Fountain Of Salmacis" have become prog classics. Now the pieces have been put into place as the band would hit their creative peak with their next two releases. The year was 1972, a classic year for progressive rock. The airwaves were brimming with some fantastic music including: Pink Floyd - Obscured By Clouds, Yes - Close To The Edge, Jethro Tull - Thick As A Brick, Gentle Giant - Three Friends and Octopus, ELP - Trilogy and Strawbs - Grave New World. 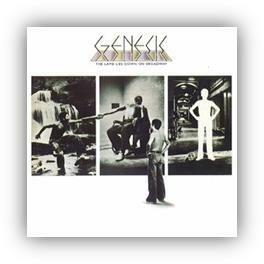 Not to be outdone, Genesis also produced a pretty good album that year. Foxtrot hit the shelves in the fall of 72 and is considered to be a milestone for the band. One of the many highlights has to be the prog rock classic "Supper's Ready", a track of epic proportions. At almost 23 minutes long it is truly an exceptional piece with its repeating themes, changing time signatures and varying moods. It is a perfect blend of classical and rock. 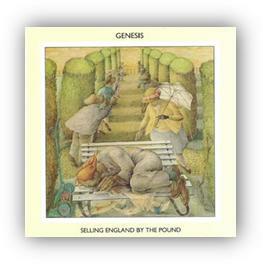 The band's creative juices were still far from running dry and in 1973 the classic Selling England By The Pound was released with great expectations. The band was firing on all cylinders as it contains such masterpieces as "Firth Of Fifth", "Dancing With The Moonlit Knight" and "The Cinema Show". Many consider this to be the band's finest achievement and who am I to argue. I always thought Hackett tapped his melodic side on this record as the melodies are simply stunning. In the years ahead there would be changes for the band but for now all five members played some of the finest progressive rock on the planet. The Lamb Lies Down On Broadway, (released in 1974), was the last album to feature Peter Gabriel. Let's just say he left the band still at its peak, both concept wise and musically speaking. It may not quite reach the level of SEBTP but it is a verifiable classic nonetheless. This is really Gabriel's baby as he developed the concept and wrote all the lyrics. Some consider the concept to be muddled and confusing and the record overly long but I beg to differ. I will admit the concept is hard to follow but a story as complex as this should not be easy. That is the nature of progressive rock; taking the listener on a journey with unexpected twists and turns along the way. In this respect TLLDOB delivers in spades. 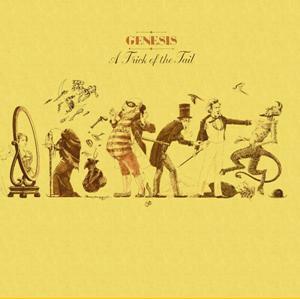 The next two albums, A Trick Of The Tail (1976) and Wind And Wuthering (1977) featured the vocal talents of Phil Collins, as Gabriel had left to pursue a solo career. The music is still of high quality and the songs are strong. Perhaps slightly less adventurous than their early '70s masterpieces I still consider these two essential. 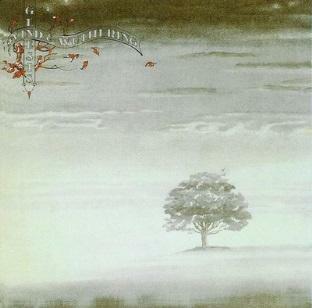 I always believed Wind And Wuthering to be the perfect album to play during those long cold winter Saskatchewan nights and A trick Of The Tail has "Robbery, Assault & Battery", one of my all-time favourite tunes. The last band we will examine is Pink Floyd. The band formed in 1965 in Cambridge, England. Syd Barrett, one part whimsy, one part misunderstood genius, was clearly the early leader of the band. Barrett had a knack for almost child-like songwriting as Floyd's first two releases are filled with those 'twee-like' moments. Their first release The Piper At The Gates Of Dawn is a psychedelic rock classic with perhaps my favourite Barrett penned song "Astronomy Domine", a spacey exploration into the dark recesses of Barrett's unmitigated imagination, and a precursor of what was yet to come. Their next album A Saucerful Of Secrets (1968) continued to explore British psychedelia and space rock but was also Barrett's last album as he had an increasingly difficult time managing his sanity. As such, his role was reduced as ASOS only featured one 'Barrett penned composition "Jugband Blues". The title track and the classic "Set The Controls For The Heart Of The Sun" are my personal favourites. It should also be mentioned this album was David Gilmour's first with Pink Floyd. The band continued their space rock and psychedelic experiments on the their first soundtrack More from the film of the same name. Most of the album was written by Waters while Wright and Gilmour contributed one track each. Musically, this is a diverse album from the hard rocking "Nile Song" to the softly struck "Cirrus Minor". It may not be a classic but definitely worth exploring after you have dug a little deeper into their catalogue. The band's next album Ummagumma (1969) is perhaps the pinnacle of their experimentalism resulting in a polarizing album among Floyd fans. 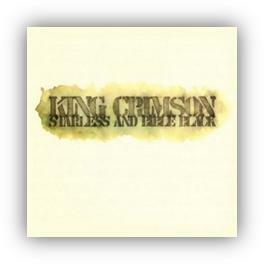 A double album with the first disc live and the second consisting of studio tracks. On the studio album each member contributes beginning with the Wright-penned four part experimental suite "Sysyphus". It is quite a dark avant-garde offering featuring some nice but dissonant piano and organ. Water's offers two compositions; the folky "Grantchester Meadows", a pleasant acoustic tune and the ultra-weird "Several Species of Small Furry Animals Gathered Together in a Cave and Grooving with a Pict". 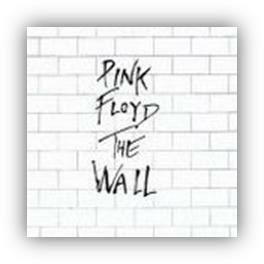 My friends and I wore this one out back in the day but if you are new to Floyd proceed with caution. It is that bizarre, filled with strange sound effects and a downright creepy atmosphere. Perhaps more than any other piece, Gilmour's three part "The Narrow Way" subtlety hints at what was to come in future releases, using both acoustic and electric guitar to great effect, culminating in a final segment of classic psychedelic rock. I do not consider Ummagumma essential listening but should still be sought after by those searching for new, unexplored territories. Reigning in their experimental side a tad, Atom Heart Mother was released in 1970. That said, the title track is an ambitious side long multi part suite that is truly spellbinding. The progressive side of Pink Floyd has now been fully unleashed and the results were impressive. Other songs are equally as satisfying. 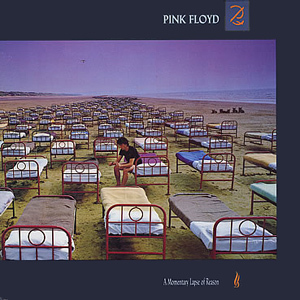 "If", written by Waters, is one of Pink Floyd's all time poignant moments and Gilmour's "Fat Old Sun" showcases his melodic side in fine fashion. For me, an even better album followed and that is Meddle, released in 1971. Starting with the heavy psych imbued "One Of These Days" and its instantly recognizable pulsating bass line coursing through its veins, this is another Floyd infused nightmare culminating in Mason's famously tormented spoken words; "One of these days I'm going to cut you into little pieces." An absolute classic of the genre. From there, some truly beautiful acoustic moments seep through in "A Pillow Of Winds", "Fearless" and the breezy "San Tropez". However, it is the second side where the music transcends all boundaries. "Echoes" is one of the best Pink Floyd songs ever recorded. At over 23 minutes long this is epic progressive rock. Gilmour and Wright really shine on this one. 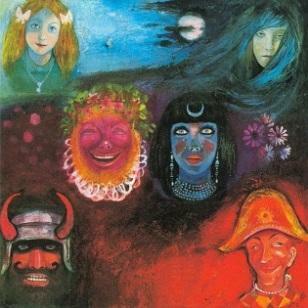 The bands second soundtrack Obscured By Clouds was released in 1972. It is much more immediate sounding than More and is overall quite melodic and lush. It is a mixture of spacey instrumentals, like the title track, and acoustic ballads; the incredibly poignant "Stay", written by Wright, comes to mind. I always felt Obscured By Clouds was vastly underrated. That same year the band was recording another album that would soon see the light of day. The year was 1973 and the course of popular music would change forever as an unsuspecting public fell victim to one of the most influential albums in the history of rock music. Dark Side Of The Moon is also one of the best progressive rock albums ever made. Much has been written about this record over the years so there is not much I can add that hasn't already been said. This is where the band perfected their craft and where Water's unique brand of cynicism was born. From mellow atmospheric bits to sound effects born out of some deranged nightmare to delicious melancholic melodies, just listen to Wright's "Us And Them", Dark Side is truly second to none and my all-time favourite album. Nothing else needs to be said. So, what does a band do for an encore? 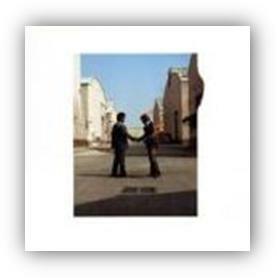 They release Wish You Were Here (1975) and I dare say it rivals Dark Side for sheer enjoyment. The best part is both records are very different from one another so if you are new to Floyd I truly envy you. This is another classic; the glorious space rock of "Welcome To The Machine", the fantastic guitar playing on the superb "Shine On You Crazy Diamond (Parts 1 to 9)", the spine tingling title track featuring one of Gilmour's best acoustic melodies, it is all there for you to enjoy. I dare say a tribute album to Syd Barrett could not have sounded any better. After WYWH Pink Floyd still had plenty left in the tank and released Animals in 1977. It is an 'angry' and edgy album, filled with Waters' scathing cynicism and scorn filled lyrics and Gilmour's biting guitar. Again, the music is quite different; never before had Gilmour's guitar attack sounded as vitriol as this and I love it. From the delicate acoustics of "Pigs On The Wing" to the heavy prog rock of "Sheep", Pink Floyd delivered another five star classic. Again, how do you follow up a classic album like Animals? Well, you do it with a double concept album that would rival The Lamb in sheer scope and ambition. The Wall was released in 1979. The concept is pure Waters; a burned out rock star who alienates himself behind his self-constructed walls, a tragic stricken childhood of longing and loss, a misguided education system mass producing puppets for the puppet master and an overall cynical view of our society in general. Some call it whining but I call it Waters at his most genius. There is a lot to absorb here but once you do you will have experienced a true Floyd masterpiece. That's four classic albums in a row, quite a run indeed! In 1983 Floyd released The Final Cut and although it is still a band effort some consider it to be more like a Waters solo album. It does feel like a continuation of The Wall and although I quite like it I don't consider it to be essential. Waters left the band in 1985, however, Floyd would continue to release two more albums, A Momentary Lapse Of Reason (1987) and The Division Bell (1994). Both would make fine additions to your collection. For a live representation of the band, try Live At Pompeii for early Floyd and Pulse, taken from their concert at Earl's Court, London in 1994. The following is a list of what I deem to be Pink Floyd's essential classic prog rock albums. I hope you enjoyed reading this article but more importantly digging into some truly remarkable music made by some of the top rock musicians of our time. See you in Part Two!